Barcelona's Lionel Messi scores his 400th La Liga goal against Eibar. Messi collected the ball off Luis Suarez and drove it into the bottom corner in the 53rd minute at the Camp Nou to give Barcelona a 2-0 lead over Eibar and notch his quadruple century after 435 matches. 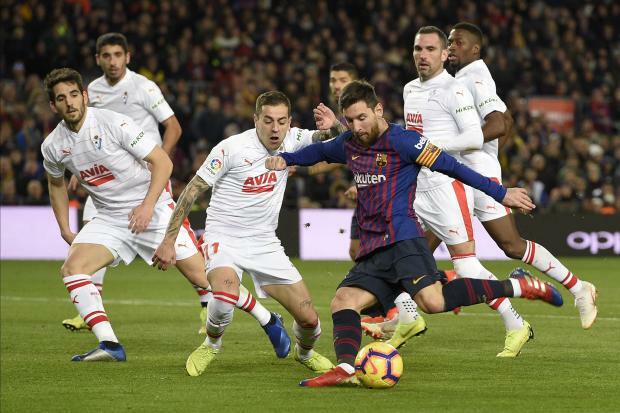 It is 14 years since Messi scored his first La Liga goal and the 31-year-old Argentine has gone on to build an enormous lead at the top of the league's all-time scoring chart. "His numbers are stratospheric, incredible," Barcelona coach Ernesto Valverde said after the win over Eibar. "He is from another galaxy."